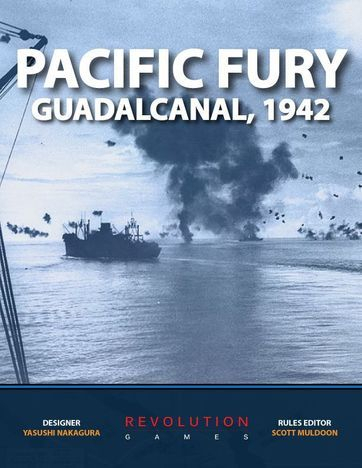 Pacific Fury Guadalcanal 1942 is a fast playing 2 players simulation covering the Solomons campaign in the South Pacific from August to November 1942. Pacific Fury is a game for two players: one controls the Japanese forces and the other controls the US forces (including RAN ships). The game starts on 7th August 1942, after the US Marines 1st Division landed on Guadalcanal and occupied the airfield there. The game system features an abstract semi-hidden area movement system where both players must determine the timing and size of task forces during an operation. 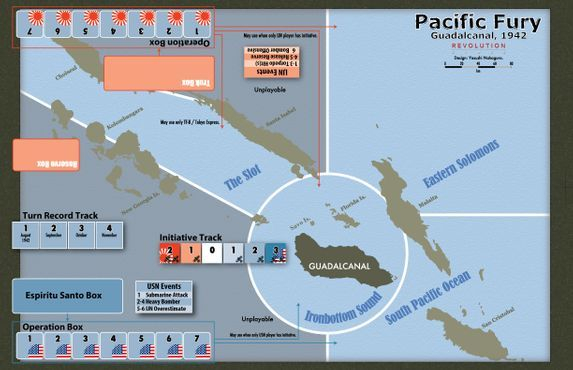 The American player starts with control of Guadalcanal, the Japanese must take it to win. first paypal button to UK, 2nd to Europe and 3rd to a Worldwide destination.